Home Tags Posts tagged with "beyonce baby’s name"
A Boston-area event planning company has been flooded with calls since Beyonce gave birth to her baby girl just because its name is Blue Ivy, reported TMZ. Owner Veronica Alexandra said she been getting phone calls, texts and Facebook posts from friends since Beyonce baby’s name was announced. Before this weekend, Veronica Alexandra’s website came up first when someone Googled the name. Veronica Alexandra told the website she’d love to plan all of the little girl’s milestone celebrations and even said the baby should be the new face of her company. Baby’s middle name Ivy may be in reference to Beyoncé and Jay-Z’s love of the number 4 (IV). They married on April 4, 2008, Beyoncé’s latest album is called 4 and the couple has matching tattoos of the roman numeral for 4(IV) on their wedding fingers. Incidentally, there had been rumors in the Noughties that Jay-Z had dated singer Blu Cantrell which she later denied, but admitted that she had a “major crush” on him. 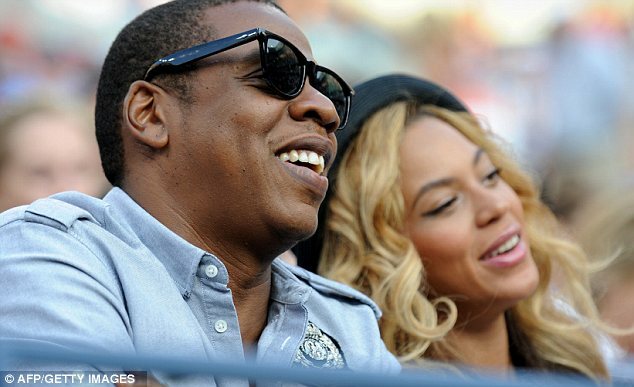 Despite initial confusion the baby was named Ivy Blue, E! reporter Ken Baker later clarified friends of the couple confirmed the newborn was actually called Blue Ivy. Us Weekly reported Beyoncé’s sister Solange and parents Tina and Mathew Knowles arrived at the hospital holding “flowers with pink balloons and silver and black ribbons”. Jay-Z was also seen walking through the hospital halls looking “happy” an observer said. While a spokesperson for the power couple – who are said to be worth $750million – was not available for comment, security is said to have been tightened at the hospital. Hospital workers were asked to turn in their mobile phones and security cameras have been covered with packing tape, according to TMZ. Within hours of baby Blue’s reported arrival, one fan started up a parody Twitter account called @IvyBlueCarter, with a digitally-created image of what the baby could look like. Although many find Blue unusual as a name, it’s actually been quite popular in celebrity circles for a while.